The Community Health Ministry provides parishes and the larger community an opportunity to serve one another through health and wellness ministry that engages all in the healing ministry of Christ. Serves as a resource center for people, faith communities, schools and other organizations desiring information and assistance in developing faith community nursing and health ministry programs. Health Ministries Network of the Mid-South is an ecumenical organization of faith community nurses, health ministers and members of the clergy. The main purpose is to provide education, support, networking and resources to all who are involved in faith community nursing and health ministries. Click here for schedule of meeting dates. As people of the Catholic Diocese of Memphis, we are dedicated to living our Baptismal commitment: by embracing all who suffer from mental illness, by encouraging other to follow the teachings of the Catholic Church and the examples given by our Savior Jesus Christ, and by offering support and acceptance to all persons affected by mental illness, including their families. The NAMI (National Alliance for Mental Illness) – WHIM (With Hope in Mind) Support Group (for family members and friends of those with Mental Illness) meets at Church of the Holy Spirit, in Room 105 on Thursday mornings from 10:00 am until 12:00 noon. This ministry embraces love for others, as its fundamental concept along with our Lord’s concern for the sick & lonely. As a trained minister you bring compassion, communion and become sacramental presence of Christ for those sick and homebound. The training is designed to provide you with the basic tools that will be helpful in your ministry. Download the Ministry to the Sick Training Registration Form and get started today. Was developed to respond to the pastoral needs of hospitalized Catholic patients in a timely manner after normal office hours/weekends and holidays. The team consists of Deacons and experienced Lay Ministers, to respond to emergency calls from area hospitals after office hours, on weekends and holidays. 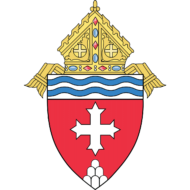 Mission of the Diocesan Committee: To assist the Christian Community in the pastoral care, service and justice dimensions of our faith for people with disabilities. St. Angela Ministry at Saint Louis Church. This ministry, named after the patron saint for those who are handicapped, disabled and challenged is being developed to address the unique needs of those parishioners with disabilities and their families. Respite time is offered from 4:15-7:00 p.m. on Saturdays to allow families of these parishioners to attend Mass or go to dinner together. The Mid South Area Association of Catholic Nurses (MSAACN) was established in 2002. The mission is to give nurses of different backgrounds, but with the same Roman Catholic values, the opportunity to promote moral principles within the Catholic Church context in nursing and stimulate desire for professionals’ improvement. This approach to Roman Catholic doctrine focuses on educational programs, spiritual nourishment, patient advocacy and integration of faith and health. As we continue to share our faith and values with each other, we simultaneously reach outward to the larger church and also our community, as we offer support to those in need. Membership is open to all Catholic registered, licensed and retired nurses, nursing students residing in west Tennessee, east Arkansas and north Mississippi. Joining the Mid\South Area Association of Catholic Nurses (MSAACN) puts you in touch with other medical professionals who share your faith and values. Designed to address specific interests of nurses and nursing students, membership is open to all healthcare professionals residing in West Tennessee, Eastern Arkansas, and Northern Mississippi. For more information call the Catholic Diocese of Memphis Community Health Office at 901\373\1224, or send an email to alma.abuelouf@cc.cdom.org. Health Ministries Network of the Mid-South is an ecumenical organization of faith community nurses, health ministers and members of the clergy. The main purpose is to provide education, support, networking and resources to all who are involved in faith community nursing and health ministries. This course is designed to prepare registered nurses to function in the faith community nurse role. The curriculum is based from the International Parish Nurse Resource Center Memphis, TN. Open to all faith communities. Large variety of durable medical equipment (wheelchair, hospital bed, etc.) and supplies available to the larger community based on need and availability.